Grace Kids during the week! Kids ages 4 through entering 6th grade will meet June 25-28 from 9:00-11:30am. Kids will learn about Jesus on their level, play games, make crafts, play sports, invent, build, create music, and build friendships!!! 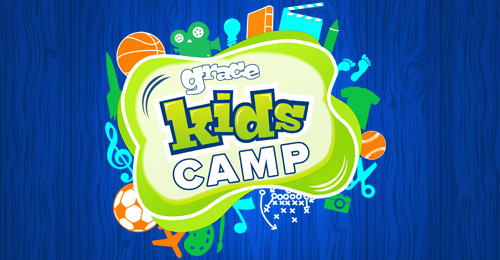 Grace Kids Camp is going to be the best week of your summer! See you there! Register your kids before camp!